Our new SHS “Swivel Hips Saver” toe bridge moves with the skate when needed which makes it easier on the hips and provides you the mobility you need for quick pushes. You can also have standard skate laces. Choose the core of your pads. You can decide if you want an inner and/or outer breaks. That way, you decide if you want a soft or a stiff leg pad. 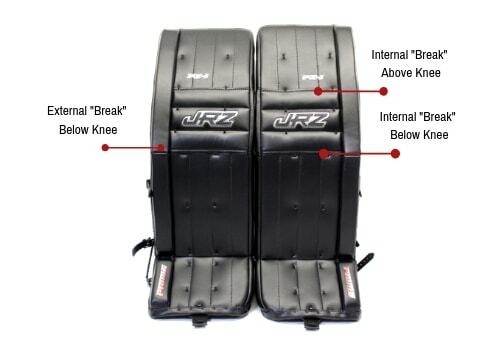 The MAS “Mobile Adjustable System” is a new way to tie up your leg pads. It can be moved up and down for you to decide where you want it and adjust the tabs on the opposite side. Once everything is in place, just clip the magnet and you get the same closure everytime. 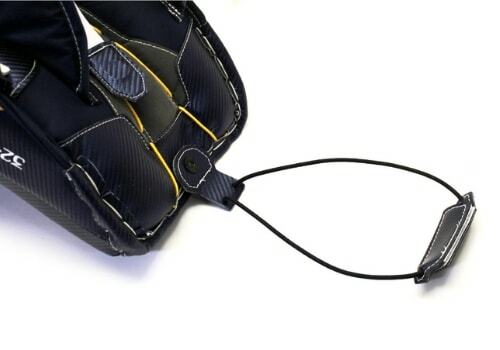 SHS "Swivel Hips Saver" MAS "Mobile Adjustable System" Flexibility "Breaks"